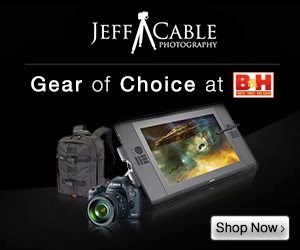 Jeff Cable's Blog: Wow! Something different and amazing! Wow! Something different and amazing! About 20 minutes ago, I was sitting at my desk and finishing another blog post for all of you, when I got a text message from my daughter, Ali. The message was just a url, and I had no idea what the heck she was sending me. I clicked the link and what I saw and heard blew me away! So much so, that I am putting my other blog post on hold and sharing this with you all. 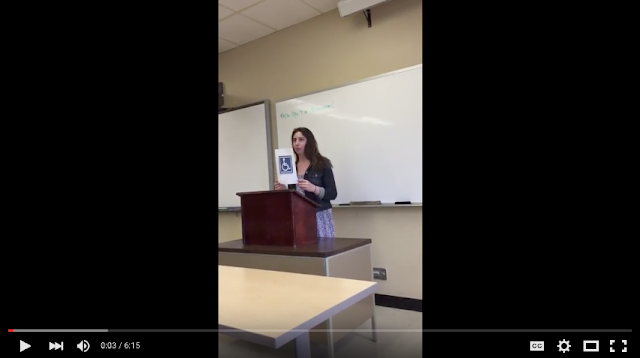 This is my daughter giving her speech today at University of Portland. Ali has Crohn's Disease, which is an invisible disease which affects her stomach and digestive system. She has had numerous instances where she has used a handicap pass on her car. Because people see her walking from the car without any obvious signs of what we all consider "handicap", they pass judgement. I am not going to say any more, I invite you to be inspired by daughter. You can click the video image above or click here to be inspired yourself. You have all the reasons to be proud, Jeff! Best wishes to you, your daughter and all your family! It takes courage to speak about personal matters like these; well done! I used to manage a theater for the fine arts... we were trained NEVER to assume that the persons in line at the "handicapped" bathrooms were not, in fact, handicapped, because as your daughter explained... so many have "hidden" problems! I hope she continues to do so well! 100 Day Countdown to the Summer Olympics in Rio!